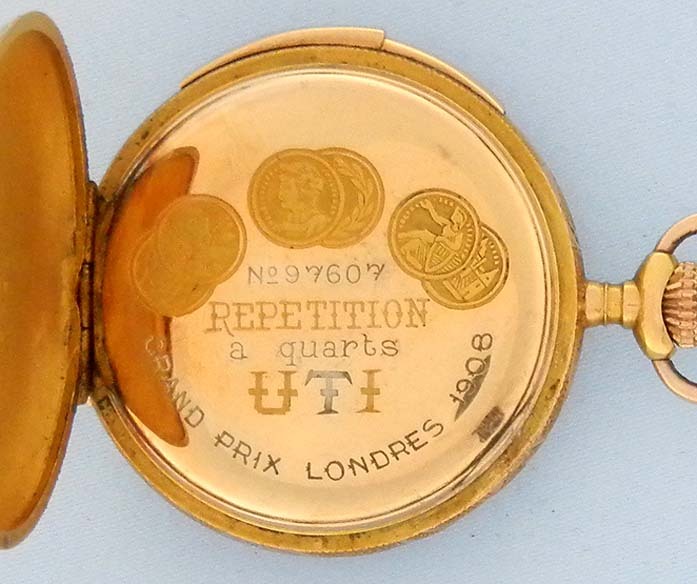 Fine and small Swiss UTI 18K gold quarter repeater antique watch circa 1900. 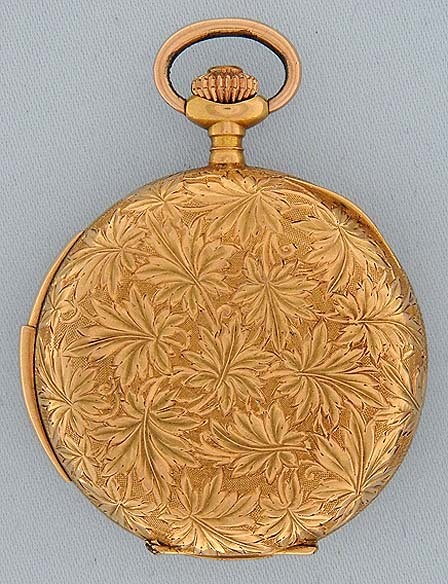 Beautiful case with engraved and chased foliage. 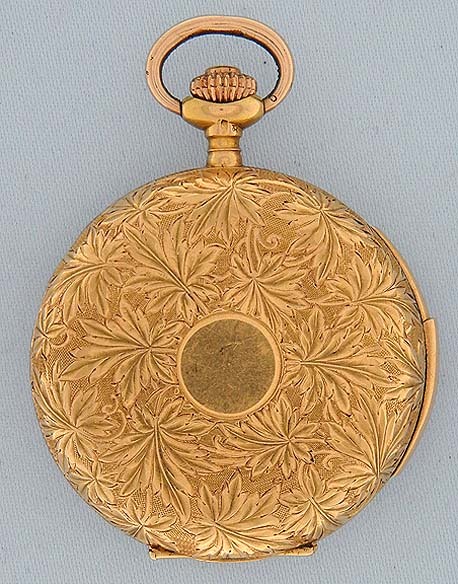 Repeat slide in the band, medals on the dust cover. 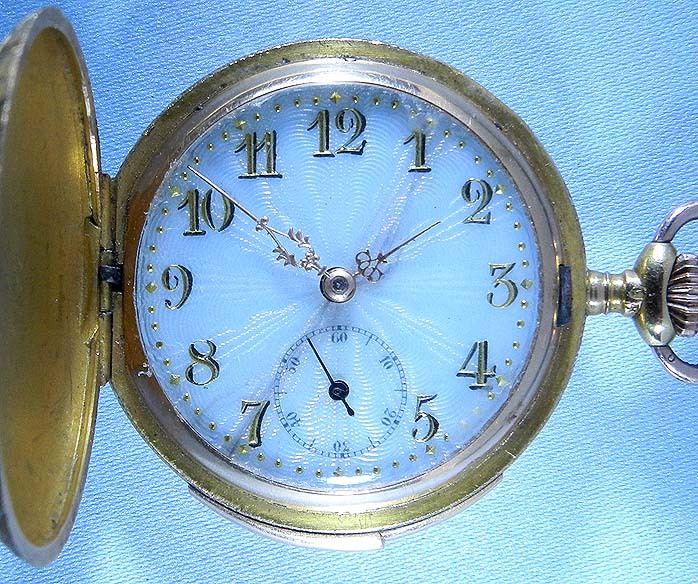 Pale blue engine turned enamel dial (crack) with fancy gold hands. 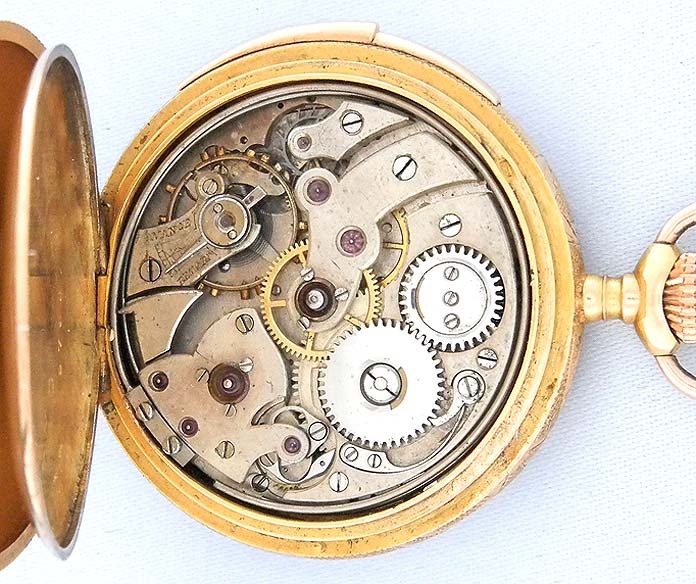 Good 20 jewel nickel movement with silent governor, jeweled to the hammers and the center.